Mashable India Edition Goes Live! Mashable, one of the most popular tech to telecom, education to entertainment news website in the world has launched a local India edition in partnership with India.com. Mashable India will have a dedicated editorial team in Mumbai and New Delhi. Mashable gets close to 50 million visitors every month, with more than half of their traffic coming from US. India is one of their top 5 markets with traffic share of around 5 percent. However, unlike their other markets, Indian internet traffic is growing, and creating a physical presence in India now will help them grow aggressively. Apart from India, Mashable has dedicated offices (outside of US) in UK and Australia – they also have dedicated editions for those countries apart from Mashable Asia. Mashable’s local partner, India.com is a join venture between Zee Group and Penske Media. This is India.com’s second international partnership – and second major tech site under it’s banner. India.com also runs popular tech and gadget site BGR.in. First and foremost, we have never understood why does anyone require a physical office or local partnership to serve local content to readers. Yes, having a local sales team may require it, but as far as editorial goes, it can easily be centralized and managed from anywhere. These are not physical publications, but online ones. Secondly, the biggest issue till date with such partnerships has been that while they call themselves local editions, they rarely serve good local content. Most of the content which appear in these editions either comes from their main international site or the content remains quite shallow. 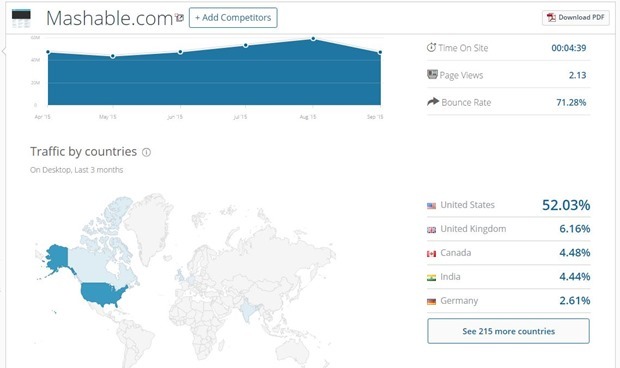 Even on Mashable India, we are not seeing much of strong local content other than a few listicles. We sure hope this changes as time passes! 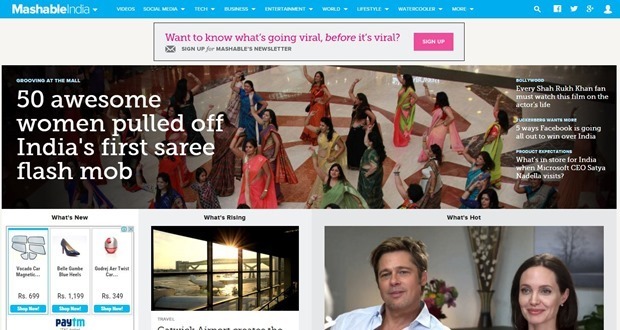 "Mashable India Edition Goes Live! ", 1 out of 5 based on 5 ratings.